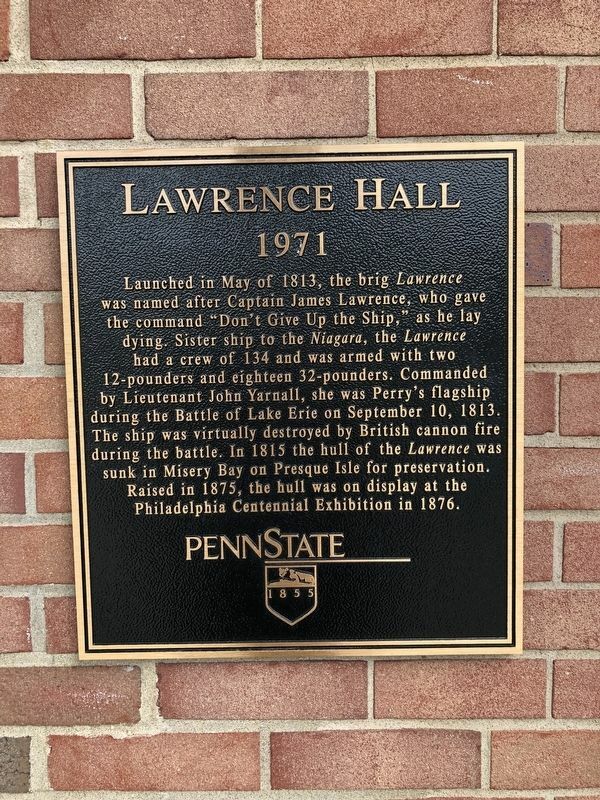 Launched in May of 1813, the brig Lawrence was named after Captain James Lawrence, who gave the command "Don't Give Up the Ship," as he lay dying. Sister ship to the Niagara, the Lawrence had a crew of 134 and was armed with the two 12-pounders and eighteen 32-pounders. Commanded by Lieutenant John Yarnall, she was Perry's flagship during the Battle of Lake Erie on September 10, 1813. The ship was virtually destroyed by British cannon fire during the battle. In 1815 the hull of the Lawrence was sunk in Misery Bay on Presque Isle for preservation. Raised in 1875, the hull was on display at the Philadelphia Centennial Exhibition in 1876. Location. 42° 7.11′ N, 79° 58.893′ W. Marker is in Erie, Pennsylvania, in Erie County. Marker can be reached from Aquarius Drive west of Jordan Road. Touch for map. Marker is in this post office area: Erie PA 16510, United States of America. Touch for directions. measured in a direct line); Yarnall Hall (about 500 feet away); Caledonia Hall (about 500 feet away); Packet Hall (about 600 feet away); Turner Hall (about 600 feet away); Scorpion Hall (about 600 feet away); Ariel Hall (about 600 feet away). Touch for a list and map of all markers in Erie. More. 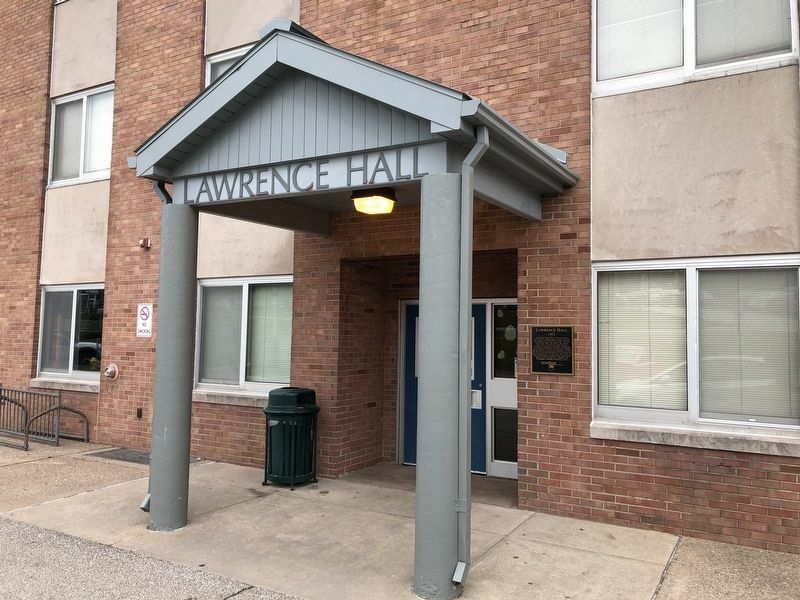 Search the internet for Lawrence Hall.